Will You Hit Your Saturation Point Before Your Tipping Point? Fantastic, indeed. That is my personal recipe for getting nowhere fast in the business side of blogging. Largely because I don’t do the things that produce the numbers or metrics that “they” seem to value. For the concentration of this post, I’ll focus on mom bloggers, though this applies to all bloggers. There is nothing wrong with gaining exposure, as marketing is all part of building your audience, but when it begins to come at the cost of your personal platform? That is when I begin to take umbrage. It is at this point that we see so many mom bloggers throw in the towel altogether, rather than step back and refocus. 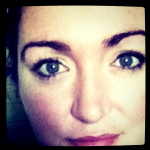 Blogging becomes a chore, a job (an unpaid one at that), something you do for other people. You find yourself making imperceptible course corrections along the way in order to accommodate certain policies and guidelines, eventually coming to the startling discovery that you are nowhere near where you want to be and no longer have the energy to find your way back. In other words, in the race to find your personal tipping point, you find yourself hitting your saturation point first. This is my plea to you: Being “included” is not all that it’s cracked up to be. Or so I gather. Being “you,” however, is more than most people are ever able to manage. Bloggers are learning to game the system. The numbers lie. Your voice does not. Yes, the mom blogging landscape has changed in the last few years. Strong content is no longer enough for people to find you in the sea of voices. If you want more than your mama and her sister to read what you write, you will have to do a bit of marketing, whether that be through personal branding (custom banners, logos, taglines) that stops the casual blog-hopper in their tracks or through a bit of social media networking like twitter or facebook. What you have in your favor, though, is that strong content is no longer enough. Those big dogs that came into the fight early and never had to lower their heads to see what was scuttling around them? That approach doesn’t work so well anymore. The rules of engagement have changed and they have changed in your favor. The mere fact that you know how to engage with your audience gives you a leg up… though now would be a good time to drop the “dog” analogy. Ahem. What I ask of you is that you don’t “engage” yourself right out of your self, though. We all want to be included. We all want to be invited to the sparkly party or sent on a fancy trip. But if we aren’t careful, all we’ll have left to dress up for that party is an empty corporatized shell. We’ll look great in our party dress, sure, but we won’t remember why we wanted to be invited to the party in the first place. In your dash to find your tipping point, don’t let yourself reach your saturation point. Every now and then, step back, reassess, and shed a few pieces of the jewelry you have layered onto yourself. With all of that bling glaring in our faces, it sometimes gets hard for us to see your face. Remember, your personality is the best adornment you own. Don't miss an update! 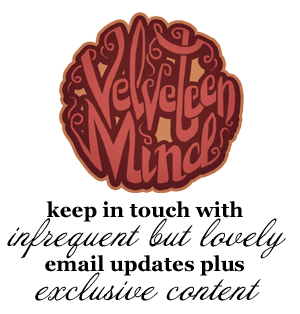 Sign up for free delivery of new posts from Velveteen Mind via email (recommended) or feed reader.